The Purpose of the NorthCreek Academy Jr. High Sports Program is to enhance the athletic abilities of the students, develop a better understanding of sports, and instill important life skills and values while demonstrating Christ-like attitudes as we strive to glorify Him in all we do. NorthCreek Academy belongs to the Bay Area Christian Schools Athletic League (BACSAL). There are four divisions, North, East, West, and South with a total of 21 private Christian schools. Our regular season is played in the East Division along with Contra Costa Christian, San Ramon Christian, Tabernacle, and Walnut Creek Christian Academy. NCA offers sports programs for both boys and girls in junior high. Cross Country, girls slow pitch softball and boys flag football are played in the fall, boys and girls basketball are played in the winter, soccer and volleyball are offered to both boys and girls in the spring. The athletes participate in their sport three days a week which includes two games and a practice. The teams will participate in the league tournament at the end of the season depending on their record in league. For more information about our sports program, download the Sports Handbook. Our coaches are hand selected based on their experience and relatability with the kids. All coaches are professing Christians representing a Bible-believing church. The coaches not only teach the fundamentals of the game but instill important moral values within each child in a team environment. To contact our coaches, please e-mail the Athletic Director. Family Care opens at 7:00am Monday through Friday. The children play with games and toys, talk with friends, or work on homework. Junior High students are excused 15 minutes before their electives begin (8:15am) so they have plenty of time to go to their lockers. Elementary students are dismissed to the courtyard at 8:45am for morning Flag. Kinderland is our after school enrichment program for K students Monday through Friday offered during the hours of 12:45pm until 3:30pm and it is billed at the same rate as Family Care ($5.60 per hour). In addition to time for children to eat lunch at school and enjoy outdoor play time, each day includes a variety of fun and educational activities. Activities are designed to offer the children both enrichment and enjoyment in areas of language arts and reading, math, science, arts and crafts, physical activities, auditory and visual perception, problem solving, and socialization with individual and teamwork skill building. A calendar is provided monthly detailing each day’s enrichment activities. Afternoon Family Care begins at 3:45 Monday through Friday. Depending on the weather, students begin each afternoon with having recess from 3:45 – 4:00pm. At 4:00 they all go inside to Fellowship Hall for homework until 5:00pm. During this time the children are given a snack while they work on their homework. The age/grade of the student determines the length of time the child works on homework. At 5:00 the students clean up and go outside for recess until 6:00pm. Fridays are a special day where students can enjoy “Movie Day”. They have popcorn and drinks and relax after a busy week. On half days, children are signed in at 12:30pm and then have lunch. After lunch, the students will go outside for recess. Students also have indoor time to play games, draw and hang out with friends. At 4:00pm they watch a movie and have a snack. To contact Family Child Care, please call Sue Bennett at 925-954-6326. $5.60/hour billed per 15 minute increments. NorthCreek Academy will be participating in the exciting program called Odyssey of the Mind. This an extra curricular program that will meet once a week in the fall. The program is open to 1st-5th grade students who choose to participate. The Odyssey of the Mind teaches students to learn creative problem-solving methods while having fun in the process. For more than twenty five years, this unique program has helped teachers generate excitement in their students. By tapping into creativity, and through encouraging imaginative paths to problem-solving, students learn skills that will provide them with the ability to solve problems — great and small — for a lifetime. The Odyssey of the Mind teaches students how to think divergently by providing open-ended problems that appeal to a wide range of interests. Students learn how to identify challenges and to think creatively to solve those problems. They are free to express their ideas and suggestions without fear of criticism. The creative problem-solving process rewards thinking “outside of the box.” While conventional thinking has an important place in a well-rounded education, students need to learn how to think creatively and productively. Students of all types will find something that will appeal to them.The fun of participation leads to an elevated interest in regular classroom curricula. Grandparents of all K-5 students are invited to our campus for a themed day of crafts, carnival style booths, and a special program. Grandparents and their grandchildren spend the day learning, playing and hearing God’s word together. Beginning as early as January, K-5 students prepare for a bible story themed musical which is then put on display for family and friends in June. 4th and 5th graders audition for a cast member while the younger grades make up the choir. The K-5 students caravan over to a local park during the last week of school to enjoy a rotation of all sorts of games. Students are challenged at the end of the previous school-year to keep their brain sharp throughout the summer by completing daily tasks. They may choose to either read, exercise, type, pray or work on their math skills for a specific amount of time per day. Those who complete their daily tasks throughout the summer qualify to participate in a special themed event hosted by Mr. Steele. Preschool through 8th grade families are invited to attend our annual Pancake Breakfast. This is an opportunity for fellowship and fun. The student body is governed by student council members who are elected each year by the student body themselves. Most positions are held by junior high students except the K-5 Chapel Coordinator or Publicity position which may be filled by a fifth grade student. Other positions include: President, Vice President, Corresponding Secretary, Recording Secretary, Publicity, and Special Events Coordinator. After speeches are given and signs are hung throughout the campus, the students vote for their choice candidates. Council members must exhibit exemplary Christian character including Fruits of the Spirit, servant-like hearts, a regular prayer life, and unity with other members. The 4th through 8th grade students compete each year in a Geography Bee testing their knowledge of our beautiful world God created for us. Students compete amongst their peers in their own classrooms until the top student in each class is decided. The top 4th through 8th grade students then compete together in an assembly until our final winner is decided. The winner travels to compete against other schools and may continue to compete all the way up to the national level as he or she continues to win. Students are given the opportunity to invite one of our country’s Veterans to our annual assembly where we honor our Veterans with songs, a special message and desserts. Our 4th through 8th grade band students are out on display each Christmas and spring as they put on their own band concerts. This is a special day where students walk through Jesus’ death on Good Friday. The day highlights 3 stations and concludes with a praise chapel highlighting Jesus’ resurrection. Our student council leads the student body in a special morning of prayer for groups such as our nation’s leaders, community leaders, churches, armed forces, schools, etc. Eligible junior high students are given the opportunity to try out for our after school sports teams. We offer softball, basketball, volleyball and soccer for girls and flag football, basketball, soccer and volleyball for boys. Students may also run in a cross country meet in October if interested. The cost is $150 per season to play against other Christian schools in the area with a league tournament at the end of each season. Our coaches are hand selected based on their experience and relatability with the kids. All coaches are professing Christians representing NorthCreek Church or other Bible-believing fellowships. The coaches not only teach the fundamentals of the game but instill important moral values within each child in a team environment. To view more information about our athletics program, please visit the Athletics section above on this page. Please contact our Athletic Director for more information. Although debate is offered as an elective, the elective serves as time for our debate team to prepare for upcoming debates. Tryouts are held at the beginning of the year to be on the debate team. The team travels all over Northern California to compete against other schools in tournaments. It is a wonderful opportunity for students to learn how to think critically, organize their thoughts and present them in clear order. Four to five times a year our junior high students get together for after school socials to provide a safe place for students to hang out outside of school. 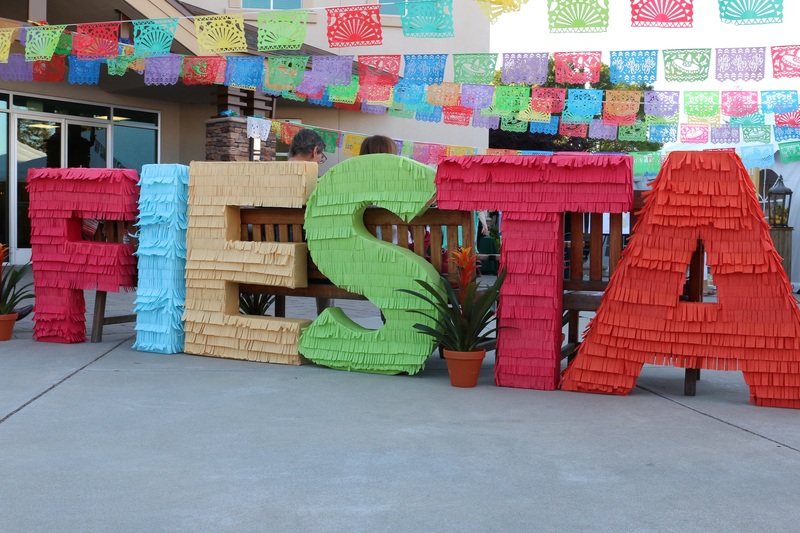 Some of our social events include but are not limited to an Amazing Race scavenger hunt, bowling, ice skating, roller skating, Sky High Sports Trampoline Park, Super Franks, Christmas party, Valentine’s pizza party, pool day for 6-7th grade, and Great America for 8th grade. Each week the students walk next door to Sunrise Assisted Living and spend about an hour with the elderly. They do activities with them such as play music, games, go on walks, or sit and chat. The students are given credit towards community service. Junior high students are split into teams to compete with all week. Teachers and volunteer parents lead their teams in cheers, attire and games each day as points are tallied based on those categories. Each morning, students are judged on themed costumes while later at lunch the teams compete in a small game. On Friday at the end of the week the students compete all afternoon in games and celebrate with a dessert party before the winning team is announced. Every other year the 7th and 8th grade students travel to Mount Hermon, Santa Cruz, for a weeklong outdoor education camp. Students learn about different ecosystems, plants, weather, animals, as well as survival skills. Afternoon recreation is included along with many adventure hikes. Every other year (non science camp years), the 7th and 8th grade students may visit our nation’s capitol for a week following 8th grade graduation. Our history buff, Mrs. Sauter, heads up this memorable trip with a guided tour of monuments, the White House, Capitol Building, Smithsonians, Arlington National Cemetary, etc. This is a memorable trip your junior higher will need to experience! For more information about upcoming events, check out our calendar!  NorthCreek Academy is deeply committed to developing character, values and spiritual development in our students. It is with great joy, commitment and hard work that NorthCreek Academy intentionally and systemically provides our students with opportunities to grow spiritually while they are entrusted to our care. NorthCreek Academy recognizes it has an immeasurable responsibility as ambassadors for Christ. As a staff we are deeply committed to our walks with the Lord and prayerfully desire our modeling to encourage our students and school community towards a greater understanding, knowledge and relationship with our Lord and Savior. 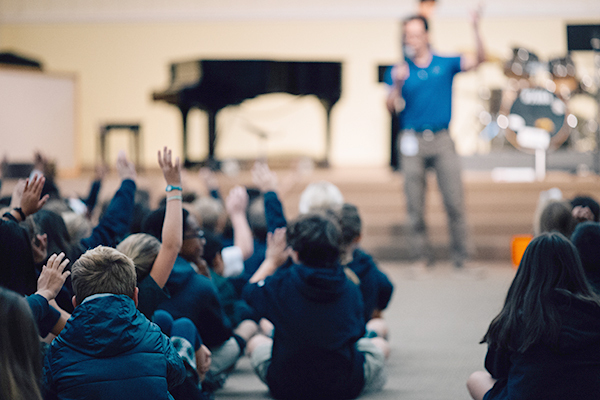 Teachers and staff integrate scripture, biblical truth, and great commission perspective in a natural and unforced manner throughout the entire curriculum and in all activities of the school. We humbly realize it must be the work of the Holy Spirit, but we intentionally offer opportunities for our students to embrace the Truth, serve others, and demonstrate Christ-like behavior. Students attend chapel every Friday morning from 9:00 to 9:45 beginning with worship lead by our JH Praise Team followed by a message from an assigned teacher. Chapels are themed each year by a book or a topic. Past themes include missions, Peacemakers, Fruits of the Spirit, etc. Students attend chapel every Wednesday morning from 8:30 to 9:25 beginning with worship lead by our Praise Team followed by a message from our chaplain. At the end of chapel, students break into gender divided small groups lead by JH teachers and other NCC/NCA staff members which are filled with discussion and prayer. Home room teachers begin every morning with class devotionals and prayer.